Kitchen Remodeling is the second most popular – after Bathroom Remodeling – home improvement project in United States, and provides the highest return on investment “ROI”. In order to achieve this you should know the most important factors. The information below can easily be implemented for any kind of Home Improvement Project. Know your property’s value and compare it with similar properties in your area. Consult a local Real Estate Agent to find out the average ROI in your neighborhood. Ask for a copy of the most recent Market Analysis for your area. Set a realistic budget and stick with it. Allow room for minor changes or add-ons. Keep in mind it is not always the more you spend, the more you gain. Be creative from the start. 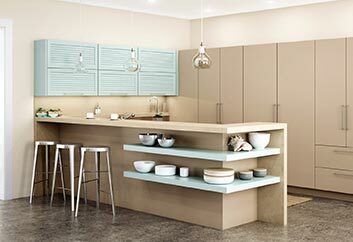 The most important steps for a successful maximized ROI Kitchen or Bathroom Remodeling project. Carefully review your plans over and over. It is easier to make all the changes you want on the plans rather than facing additional expensive costs later. Familiarize yourself with all three. When it comes to Kitchen Remodeling, choices are unlimited, not to mention being in sync is a plus to planning and budgeting. In many cases, the Quality of everything you use for your Kitchen Remodeling impacts the ROI. Is your new Kitchen going to be easy to work in? To take full advantage, the most convenient way is to have the refrigerator, sink and stove placed in a triangle. The overall location of the Kitchen in your home should not be forgotten. Take in to consideration the distance of the new Kitchen from the nearest entry. You can tire yourself out by bringing groceries in and not have the energy to cook or entertain after. This is where most people make the mistake. Some people may think by putting a fresh coat of paint on the walls is considered Remodeling their Kitchen. Do not underestimate the ability of Home Inspectors to recognize a complete quality Kitchen Remodeling. A complete Kitchen Remodeling Project gives the highest ROI if need be to enlarge it take advantage, but make sure it doesn’t become the largest room in your home. Brighten up your project, be proud and show case it. Consult a licensed electrician for the strategic placement of lights around your new Kitchen. I cannot stress this enough. If you are not an experience do it yourselfer, do not attempt this. Hire a professional. Kitchens and Bathrooms are the most expensive projects in any home. You mess this up and you will be reminded every single day. Make sure you have all appropriate town permits for your project. After all, your investment can only gain its highest return if its registered in your town and has passed all inspections.